It's no secret veganism has become huge over the last few years. 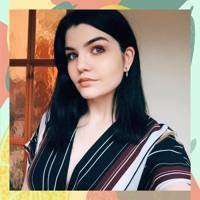 Countless celebrities have started following the vegan lifestyle, supermarkets have started stocking vegan produce by the truck load and it's not uncommon for someone you know to have at least tried it out, right? Pinterest that searches for vegan beauty are up 281% since 2017, with more and more people keen to get involved in green beauty. 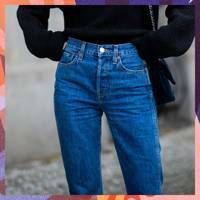 Whether it’s for health, happiness or principled ethics, what’s clear is these celebrities are part of a growing global movement that’s not just about the food we consume, but making cruelty-free and sustainable choices when it comes to what we wear and the beauty products we apply. 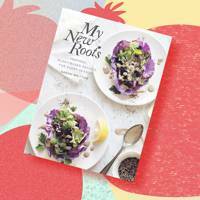 Our desire to eat sustainably, consume consciously and think ethically is, in part, an attempt to counteract the environmental damage caused by previous generations. In today’s challenging political and economic climate, there’s a sense that the only currency we can control is our own physical, emotional and spiritual wellbeing, as well as the footprints we leave on the world around us. Now this trend is prompting real change in the beauty industry: more than 6% of products launched in the UK in 2017 were certified as vegan; a figure that’s expected to double in the next five years. More and more of us are also choosing to use animal-free products; swapping and sharing beauty buys that align with our personal ethics. The ‘vegan’ certification verifies that products (and all their ingredients) have not been tested on animals and are free from any kind of animal extract. To achieve this is no mean feat, considering staple skincare ingredients, such as glycerin, collagen, gelatin and retinol are all traditionally derived from livestock – or their by-products (honey and beeswax, for example). “It only took patience and a surprisingly small amount of money to make the change to become a vegan brand,” says Kat Von D, whose eponymous make-up line is pioneering the vegan beauty movement. To make the switch, Kat had to find a replacement for carmine (a colouring made from insects). 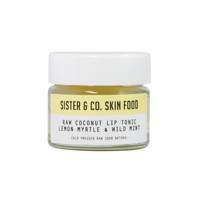 The emergence of vegan, millennial-led, British brands like Sister & Co, Spectrum Collections, Soaper Duper, BYBI Beauty and Bleach London has encouraged cult brands to follow suit. Hourglass has promised to go fully vegan by 2020 and even an industry giant like L’Oréal-owned Urban Decay, which already has 71 vegan products in its line-up, has pledged to convert, “as long as we can deliver the same high-quality products”. While natural botanicals are the go-to cruelty-free ingredient, some brands are serving their vegan principles with a side of science. “There is so much innovative biotechnology emerging,” says Sue Y Nabi, founder of vegan beauty brand Orveda. “Like biofermentation, which harnesses bacteria to grow and refine botanical ingredients, allowing actives to work in synergy with the skin.” The result? 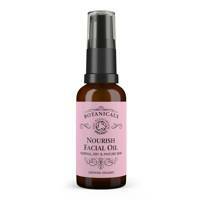 Clinical-level efficacy with all the natural benefits: soothing, nourishing and non-toxic. 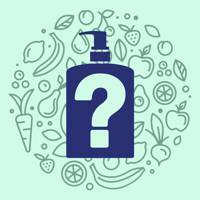 “There is no law that controls the use of ‘vegan’, ‘clean’ or ‘organic’ in beauty product [descriptions],” says Sue. 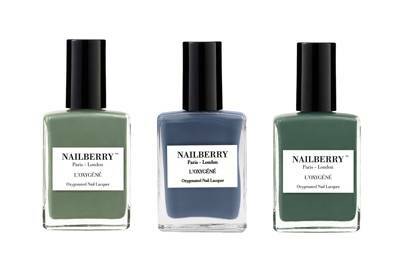 It’s known as ‘greenwashing’, where brands use trending terminology to draw in consumers, even if they don’t fully stick to the ‘natural’ ethos – the trick is to look for industry logos, such as Cruelty Free International’s Leaping Bunny or The Vegan Society. ‘Clean’ products will be generally free from parabens, phthalates, sulphates, silicones, petroleum, pesticides, artificial colouring, synthetic fragrances, GMOs, PEGs, DEA and TEA. Use the Think Dirty app to scan cosmetic products – you’ll get a breakdown of ingredients and health hazards, and it even grades products on its ‘Dirty Meter’. 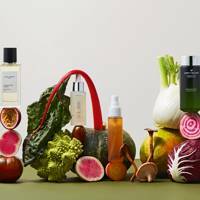 So whether you prefer all-botanical or science-based brands, going cruelty and toxin free is the modern choice when it comes to skincare and make-up, says Sue. “It means products have been made in a vegan, sustainable fashion and contain no ingredients that could harm skin’s health.” After all, a cruelty-free complexion glows that much brighter, don’t you think? The good news is, veganism doesn't end with food, the beauty industry is getting in on the action too. 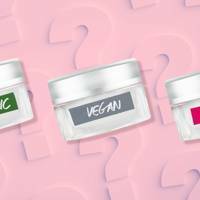 There are plenty of vegan beauty brands products you didn't know where vegan. Below we've curated the best vegan beauty products on the market - totally cruelty and animal byproduct free. Consider your skin, hair and makeup routine taken care of. 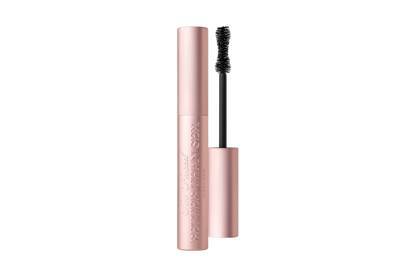 Oh boy, you better believe it, Pinterest's most-pinned mascara is not only voluminous, but vegan. 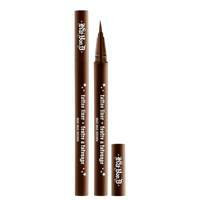 In fact, a lot of Too Faced products are, check out the . Brand new to the UK, Bali Body's range is entirely vegan-friendly. Their bronzing lotion will give you that instant glow you've been craving since Christmas. 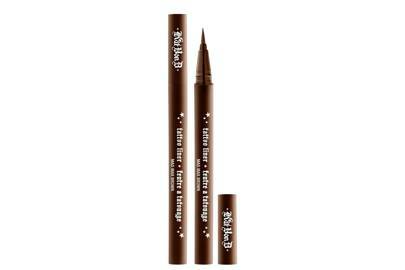 One of the best, most-pigmented and long-lasting eyeliners around. The fact that it's vegan is just a bonus. All BYBI products are 100% natural, certified vegan and come in eco-friendly packaging. The detox dust can be mixed with any liquid product (think serums and oils) to form your own super paste, but co-founder Elsie Rutford recommends mixing with apple cider vinegar – which is naturally high in AHAs (Alpha hydroxy acids) – for a resurfacing treatment. Leave on the skin for 15 minutes before rinsing off. Yes, and ethically right mani does exit. 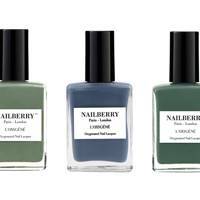 Vegan, 12-free and Halal approuved, these nail polishes have no nasties in it. We're also pretty obsessed with how perfect for autumn this royal blue and the emerald green shades are. 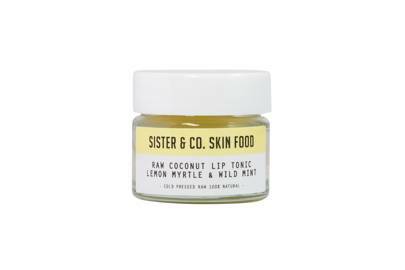 We all need a good lip balm in our makeup bags. It just happens this one is vegan. Perfect for chapped lips or just a healthy glow, the coconut oil formula hydrates and protects. 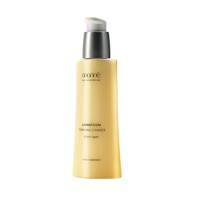 This cleanser is a triple threat: it removes makeup (even waterproof), cleanses the skin and helps to prevent spots. Gentle and super easy to use - leave on for 5-10 minutes if you want to use it as a mask. 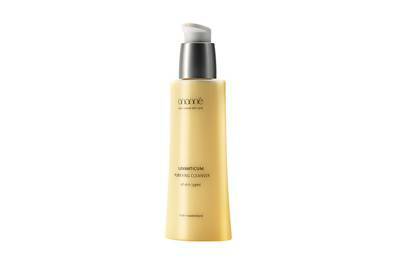 This moisturiser is ultra light but deeply hydrating and it's suitable for all seasons. If you have very sensitive skin, definitely give this a go. 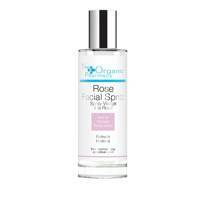 Botanicals' rose and camellia facial oil smells heavenly and it's made with 99% organic ingredients. 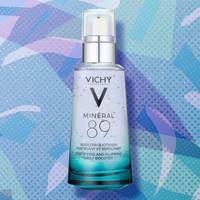 Use at night to give your skin a real boost of hydration. 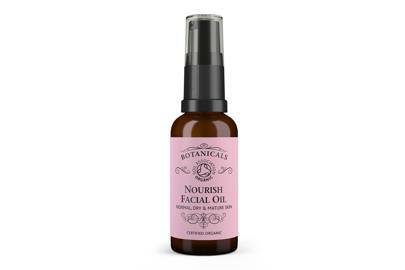 Keep this on your desk and spritz morning and afternoon to give your skin a (delicious smelling) hydration boost. 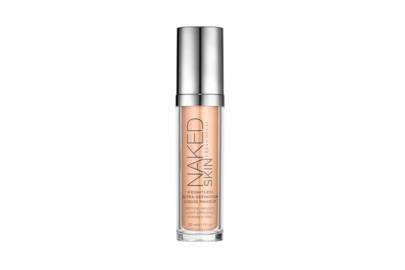 Perfect for dry, tired skin - use daily after a shower or if you're headed out, gloss a little over your shin bones to elongate your legs. 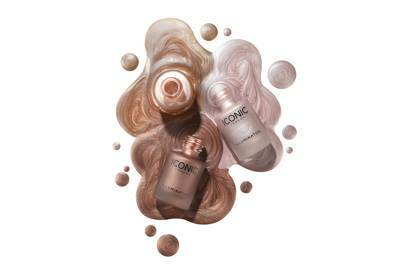 This mineral powder is beautifully build-able and will give you a natural flush as well as a little luminosity. 100% natural, it's both vegan and cruelty-free. 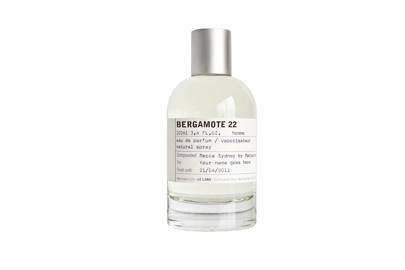 Everyone's heard of Santal 33 but we tend to think Bergamote 22 is rather overlooked. A sumptuous blend of amber, grapefruit and petit grain - it balances the musky, heavier notes with the freshness of citrus exquisitely. 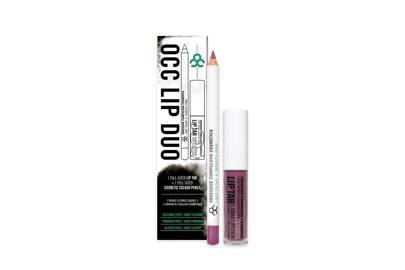 This lip gloss gives a gorgeous rich opaque colour and it comes with a liner too. It's a bit like a vegan Kylie Jenner Lip Kit. 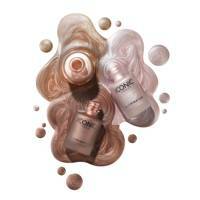 This liquid foundation is light and gives a gorgeously dewy finish. If more coverage is what you like, you can build it up to the desired look. 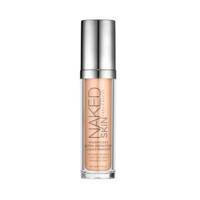 It's an excellent foundation for dry skin particularly. 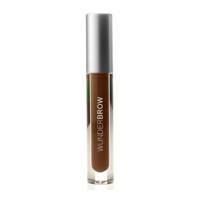 Yes, even your eyebrows can go vegan. With an easy-to-use mascara wand, it takes seconds to whip them into shape with the browscara. A firm celebrity favourite, from the cast of Towie to Jourdan Dunn, Iconic London's Illuminator Drops are a dewy delight and 100 per cent vegan. Containing a mixture of gentle washing aids obtained from coconut oil, palm kernel and corn, the Natural Shower Gels from Polish brand, YOPE, gently refresh and hydrate the skin, leaving it soft and smooth. 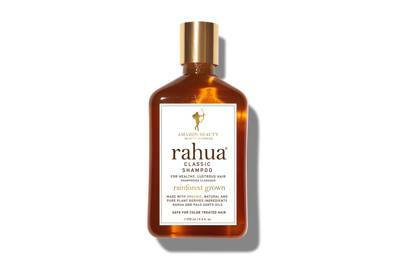 Suitable for all hair types including coloured, Rahua's shampoo is ultra gentle but uses only natural ingredients to give your hair a deep cleanse. 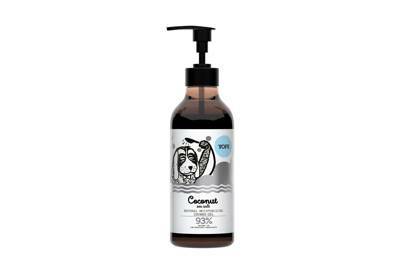 Green People do a range of conditioners for all different hair types but we love the moisturising one as it leaves the hair silky and frizz-free. The major plus? There are no chemical nasties lurking in the formula. У нашей организации авторитетный портал , он рассказывает про https://buysteroids.in.ua.